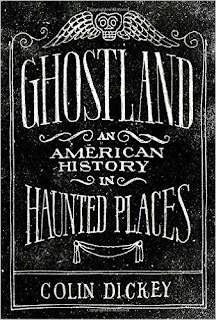 This past weekend I participated in the 24 in 48 Readathon and the book I started with turned out to be a great one and probably my favorite of the weekend -- Ghostland: An American History in Haunted Places by Colin Dickey. On the surface, this is a collection of some of the different kinds of hauntings, grouped by the types of places where they happen -- private houses, commercial buildings, civic buildings and graveyards, and whole cities. 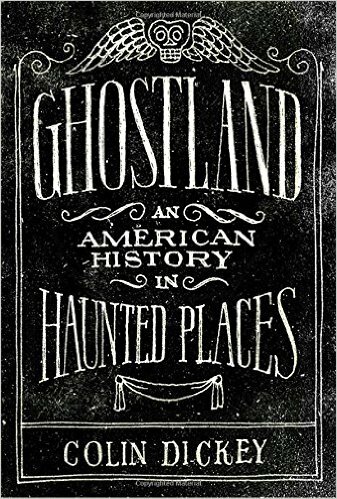 The wonderful surprise of the book is the fact that Dickey talks mostly about the social reasons for believing in ghosts, the shortcomings of local folklore, the whitewashing of ghost stories, and other tangents. This was an incredible social science volume and I found a wealth of things to think about. For example, one of the locations that claims to be highly haunted is an area of Richmond, Virginia called Shockoe Bottom, one of the two main ports for the reception and trade of slaves from Africa. It seems obvious that there would be copious amounts of pain and sadness in this area, right? But here's the catch. All of the ghost stories attached to local bars and stores are about WHITE ghosts. Yep. 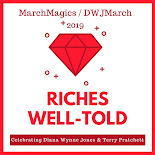 But Dickey is smart and so he spends almost all of the chapter talking about all of the horrors and history that could have/should have been preserved by ghostly means and only briefly mentions the actual stories that you will hear in Richmond. I loved this. With very thoughtful assessments of asylums, prisons, and even religions, I couldn't get enough of this book and I plan to buy a copy (this was a library book) and use it as a launching place to learn more about some of these issues (ie, Spiritualism as a feminist movement, the history of Kirkbride psychiatric hospitals, and the haunting trope of "Indian burial grounds"). I loved how he analyzed the whole idea of ghosts without ever putting down anyone who believes. This book works for everyone along the ghost spectrum. I love when they're well-written and this one definitely is!